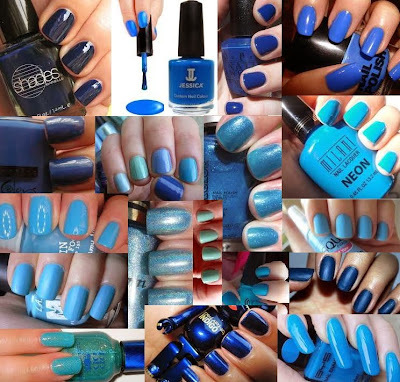 All Seasons Nail Trends 2015 - Be Glossy In and Out! Are you curious which is the nail trend of 2015? Although nail trends are changing every season, I selected some models that fit all year long.A special manicure it can emphasize not only good taste, but also personality. If you're a fan of simple manicure, classic, try a matte nail polish, preferably white or black. 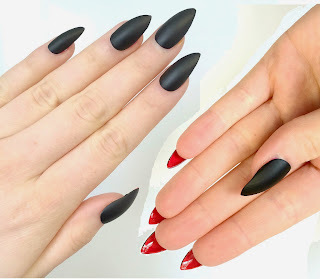 And forget about your oval or square nail shape and go for almond shape. The nudes with warm shades (beige, cream, caramel) and nail polishes with cool shades (gray, pink, khaki) are so pleasant and will always remain an option. The glitter is one of the trends of 2015. This is an option not only for the holidays. You can wear it in winter and summer for evening parties but is permitted during the day as well. A must have of this year are the metallic shades,combination red-gold is a good choice,it looks fabulous. And the stripes are ohh so 2015 trend. Here you can find the whole post. Blue is the color of spring-summer 2015 either you opt for royal blue, classic or aquamarine. Bored of classical French manicure? 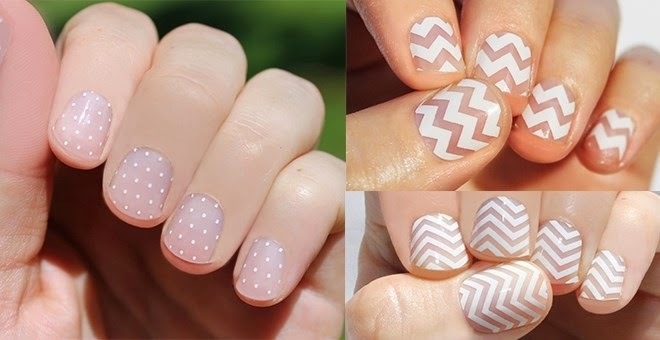 The negative space nails and geometrical patterns are so trendy and gorgeous. Aren`t we, women, in love with jewelry? Well, why not wear them on our nails this summer also? Check out some great designs here. Which is your favorite 2015 trend?